If you’ve been doing any research at all about building or improving your website, or have talked to anyone about “getting found” on the Internet, then you’ve probably come across the phrase “Search Engine Optimization“, or SEO for short. So there’s a good chance you’re wondering what SEO is, and why you need it. Well, let’s get you some easy-to-understand and plain-English answers. Search Engines, like Google and Yahoo and Bing, spend all their time scanning the internet looking for new content. They index and catalog everything, so that when someone like you searches for something…let’s say “Los Angeles Attorneys”…it has enough information to give you a list of websites — and specifically web pages — that match your search. The problem is that there are hundreds, thousands, and perhaps millions of websites competing for a position in the search engines for the same search terms that you want to be found for. That’s why it’s smart to select a more specific keyword to optimize for. Think about it this way: Thousands of sites are competing for “Los Angeles Attorney”. There are fewer that compete for “Downtown Los Angeles Attorney”, and even fewer yet that compete for “Downtown Los Angeles Personal Injury Attorney”. If there are enough searches for that phrase, and you happen to be a downtown Los Angeles personal injury attorney, then that would be a good keyword for you to optimize for. So the first part of the art of SEO is to figure out the right keywords for your business. The second important part of SEO is to set up your site so that it’s optimized for the keywords you want to be found for. There’s both a science and an art to doing this, and if you do it right, you’ll be found for lots of specific and “niche” keywords, as well as more general ones. One of the important elements that search engines care about is that sites are fresh and updated frequently. The more a site is updated, the more often that the search engines will come visit your site. And that means when you add new keywords to your site, you get an almost instant flow of traffic looking for that keyword. There’s one more important part of SEO, and that’s called “Link Building”. Each link pointing to your site is a “vote” by that other site for the importance of your site. There’s such a thing as a good vote and a bad vote, so the more good votes you get, the higher your site will increase in the rankings. It’s important that, over time, you continue building links that point to the pages of your site. Those links need to be built the right way so that the votes matter. Link to the new pages that you’re creating on a regular basis, and you’ll soon discover that you rank on page one for your most important keywords. And not just ONE keyword, but many. And what is the effect of all of this? Well, if you choose your keywords correctly, and build out your site with niched content specifically about your keywords, and then continually build links from all over the web to your site, what you’ll end up with is a constant and continual flood of people coming to your site. If you’ve got a website and you only exist on page 42 for your search terms, you’ll never be found. You may as well have no website at all. That’s why SEO is important. And that, in a nutshell, is SEO (Search Engine Optimization). It’s an art. It’s a science. And it’s important to the success of your website. Now…would you like to see the effect of some real good SEO on a site? Then watch this 9 minute SEO video. P.S. Once you’ve got people coming to your website, what happens to them? Do they hit your page and then leave? Or do they do something that eventually turns into money in your pocket? That’s what website conversion is all about. You should read about that next. Do you need to establish yourself professionally or upgrade your image online? 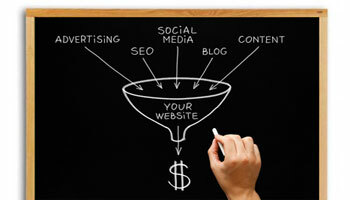 Would you like to drive traffic to your site and turn those visitors into leads and clients? That’s what we do. Let’s talk. Copyright © 2001-2018 by West Hills Web, Inc.